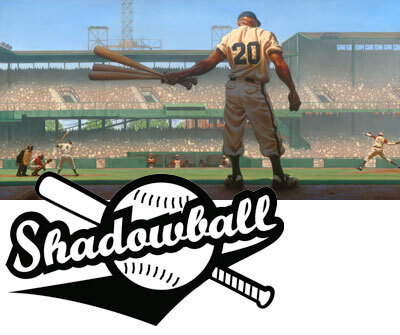 Major League Baseball is proud to support HMDT’s Shadowball programme and its aim to get children actively involved in playing baseball while educating them on the history of the sport through music. The sport of baseball has a rich history of breaking down racial barriers, and Major League Baseball believes HMDT’s creative approach in both combating racism and stimulating interest in baseball will be an effective and fun way for the community to become involved in the sport. on breaking the colour barrier. Hackney Music Development Trust’s Shadowball is an innovative new baseball project featuring the creation of a new Jazz Opera, by composer Julian Joseph and author Mike Phllips, about Black Baseball players linked to a sports programme for primary schools, using the arts both as a learning tool for other areas of the curriculum, and to stimulate interest in this sport. Above: Low and Away painting by Kadir Nelson. Used with the kind permission of the artist from his book We Are The Ship. Stuart ‘Slim’ Jones, from the Philadelphia Stars, throwing a strike past a Pittsburgh Crawfords batter at Yankee Stadium in 1934. 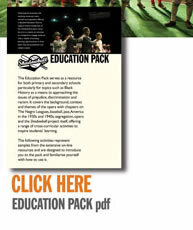 The Education Pack is under construction. Please do use the pack, but excuse our appearance while we are making changes. The Shadowball Launch Event on Friday Evening at The Inner Temple was a great success! 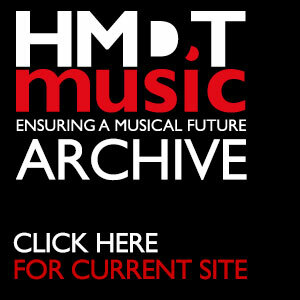 © 2013 HMDT Music. All Rights Reserved.